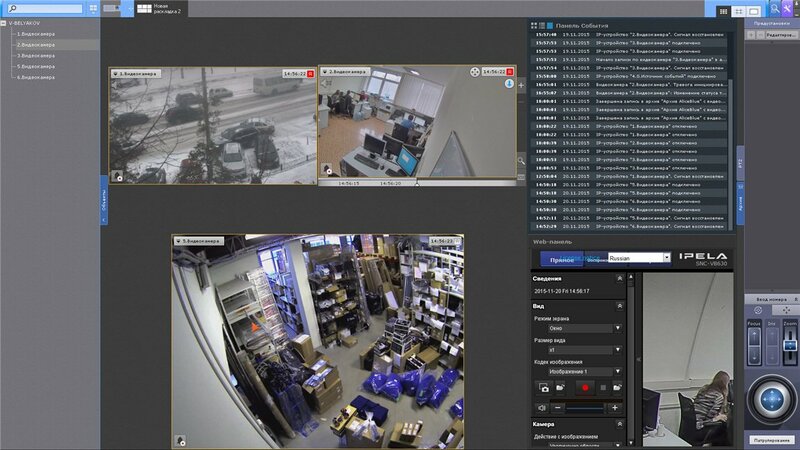 Axxon Next is the product of Russian company ITV, enabling easily scalable surveillance systems of any complexity to be built and supporting more than 6,000 IP devices. 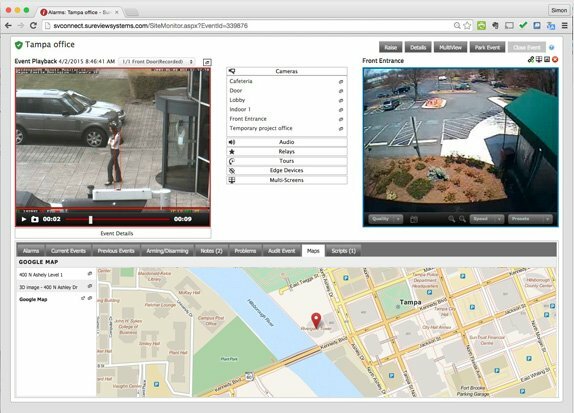 Immix is a video-orientated software platform for receiving event alerts from video surveillance systems and managing access. Immix belongs to American company SureView Systems. The integration plugin is a library with a dynamic connection to the SureView Immix system. Content and interface requirements are described in the SureView SDK. Interaction with Axxon Next software is conducted via HTTP. Alert events are transmitted from Axxon Next to SureView Immix through a developed alert event transmission service. The development of such a service was necessary because Axxon Next transmits alert events via a pull scheme (request of a list of alert events for a certain period) and SureView Immix receives events via a push scheme (sending events via SMTP). The SureView software package has five quality levels for incoming video stream: highest, high, medium, low, and lowest. Axxon Next (as with most video surveillance cameras) is able to deliver only two streams with different quality levels: high and low. It was decided together with the client and SureView specialists that SureView's highest, high and medium quality levels would be associated with the high-quality video stream from the Axxon Next server, and that SureView's low and lowest levels be associated with the Axxon Next low quality stream. The task of developing an integration plugin was somewhat simplified because we managed to use some standard SureView components (SureView.Media.UriDecoder_001, DevStreamGeneric) for video stream playback, allowing us to disregard decoding and video stream visualisation. Elevated standards for development and in-house testing of the integration plugin, resulting from the fact that every SureView acceptance test costs USD 1,000. If some discrepancies in meeting the SureView requirements for functionality and efficiency are encountered, the plugin is sent back for rework with a list of comments. To check the stability of plugin functioning in SDK SureView there are preconfigured sets of so-called stress tests, which every plugin must successfully withstand before being sent for SureView acceptance (stating incorrect parameters of connections to Axxon; multiple and frequent repetition of one or several actions). There are strict server load requirements for integration plugins in SDK SureView. Medium processor load is 200 MHz. RAM is capped at 100 Mb. Productivity measurements should have been carried out on a video stream viewed with a resolution of 2CIF and frequency of 4fps. According to SureView requirements the load data was measured using the Average CPU Cycles application. This requirement is connected with the fact that the plugin code is executed on SureView servers and mustn't put excessive load on the system. Plugin efficiency debugging was conducted using remote cameras, which created some delay in processing PTZ mechanism commands and video stream reception. The SureView service uses the SMTP server to receive alert event messages, but the program for testing the integration plugin provided in the SDK package doesn't have such a function. Therefore, for the sake of testing it was necessary to insert into the development for the alert notification service functionality for saving email bodies to a hard drive (instead of sending via SMTP) and copying the content of email notifications manually into the SureView testing program for the ensuring verification of whether the incoming message was decoded correctly.